Anybody knows how to transfer CD (Mp3) songs to Cassette Tapes? Since some years i have recorded a demo (like deathgrind) and i want to produce it in tape. PD:If i didn't select the correct forum, Plesse somebody tell me which is the correct one. Burn an audio cd and then just record it on tape from the cd. I did it just today. 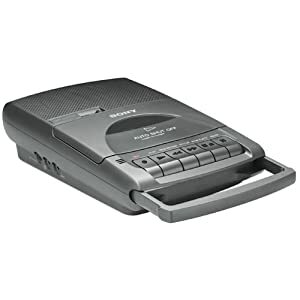 Forgot how much harder it was in the 90's when you had to dub tapes and you had to have a double tape recorder to do it. Hum... Is there a psoibility to make more simple? I dont know anithing about "Burn Audio CD"
If you're simply trying to just put the cd tracks on a tape then you'll need a cd player with a built in tape deck where you can play the cd while hitting record on the tape deck... or some other way to run the audio from a cd player through a tape deck that has the ability to record. If you're trying to mass produce some demo tapes from a cd with the tracks on it then I would recommend googling National Audio Company. Whoa, so i need soemthing like this? The second one is closer to what you'd want. The first is a reel-to-reel, which would make your life quite a bit harder. That being said, it would be helpful to know what you're working with. 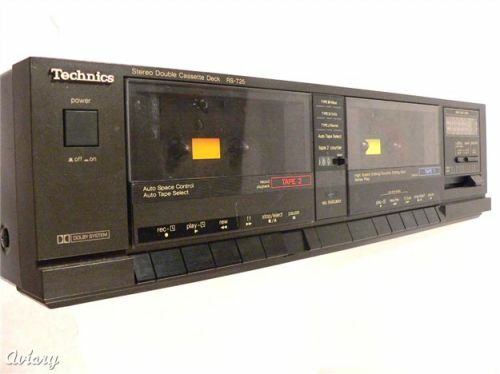 Do you have a cassette tape deck (something like this)? Do you have an audio interface your computer that you use to record with or the tracks themselves on the computer? If so, you could play them on your computer, run the audio interface's outs into the cassette deck, and record it manually. If you are looking to produce a bunch of tapes to release and you have the tracks on your computer, I would also recommend googling National Audio Company. I know several people that have used them to get tapes made, and they are generally reliable. Plus it's not too expensive! Do you have a cassette tape deck (something like this)? Do you have an audio interface your computer that you use to record with or the tracks themselves on the computer? If so, you could play them on your computer, run the audio interface's outs into the cassette deck, and record it manually. Yeah I have something like that (I dont really know if it works), the "Audio Interface" i dont use those things to records, i use a different thing (But the tracks finish in Mp3 Format). I dont what to produce it with 100 or 50 copyes, like 10, 15, 20 or less, then send it to different distros, labels, small local stores or something like that.